Meanwhile on Stardoll: FREE: Latern, Vase and Torch. FREE: Latern, Vase and Torch. 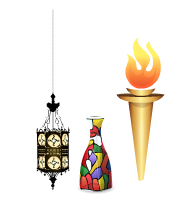 So to get the Ramadan lantern, a colorful vase and the Olympics torch, just click HERE and buy them for 0sc/sd.